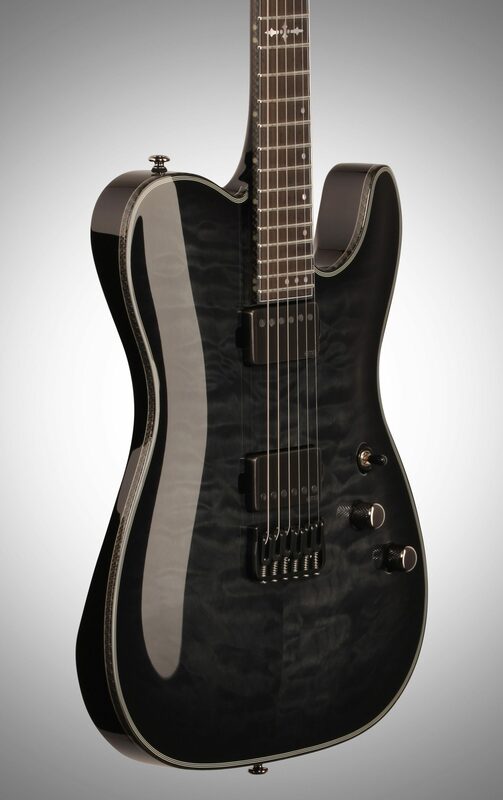 A convergence of Schecter's infamous HELLRAISER and SLS models featuring the most sought after features of both! The Hellraiser Hybrid features a highly figured quilt Maple top is designed with a more sculptured arch and is set onto the Mahogany body with an increased upper access cutaway. 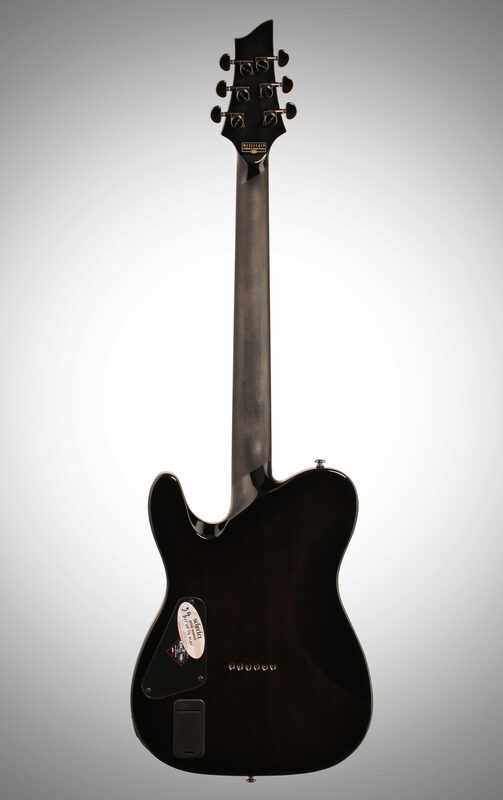 An SLS ultra-slim neck with compound radius fingerboard is set into the body with the ultra-access neck joint. Including Carbon Fiber binding, Glow-In-Dark side dots and EMG 57/66 pickups -- this guitar is ready for anything. This review has been selected by our experts as particularly helpful. 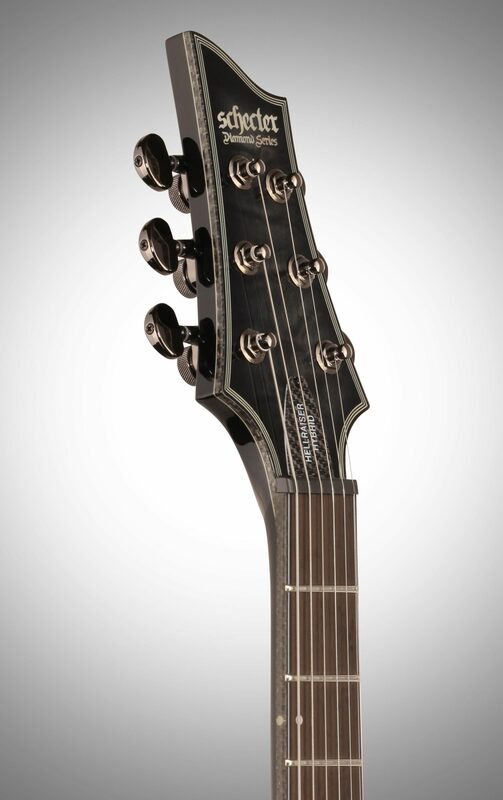 "Rare beauty"
Sound: The EMG pups are HOT. If you've never had active pups then be prepared to do some tone tweaking. These pickups will drive a clean tube channel to breakup. They a have ton of headroom as compared to passives. They drive my Carvin's clean channel to a beautiful Plexi like crunch on full but will clean up as you roll down the volume. The sound is clear, raw and articulate. Think a Les Paul on steroids. This guitar sounds as good as others I own that cost twice as much. No problem finding metal, hard rock or even driving blues tones out of this guitar. Just know your amp. Feature: Well not much to say about the features...locking tuners, 2 active humbuckers, 3 way switch, volume, tone...pretty simple. Ease of Use: The sound was different at 1st with the actives. I had to make some amp adjustments to find my tone. The extra jumbo frets are a different feel too. 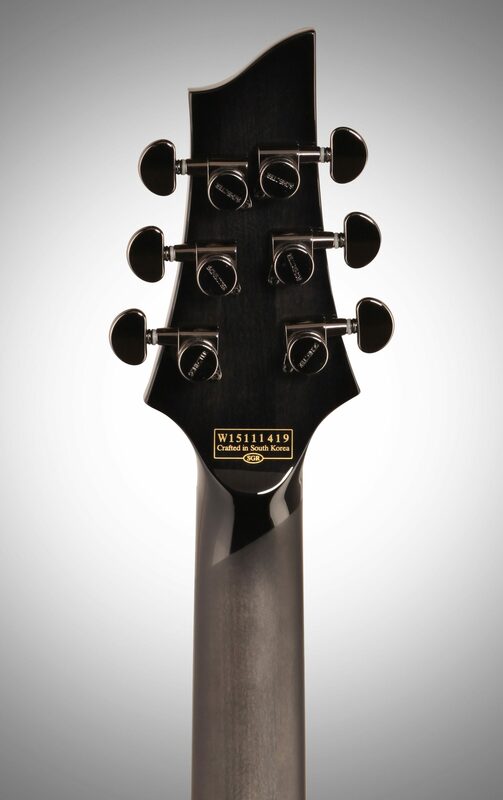 Quality fretwork is laid into a slim compound radius neck that has a fast feel. If you plan on using this guitar live with other guitars equipped with passive pickups, be prepared for some output differences between them. Quality: This guitar is made in South Korea and it's my first non USA made guitar. It appears to be made very well. The transparent black finish is subtle but beautiful and I could find no flaws. The parts are quality. I played a Jackson from Indonesia in same price range that a buddy owns...this Schecter Tele blows it away in all aspects. I wish I had found this before I bought this high dollar Gibson LP I just shelled out for. Value: Overall I would buy this guitar again. I think it's as good a guitar as any other guitar costing twice as much. Les Paul sound without the big price tag. Manufacturer Support: Haven't dealt with them. 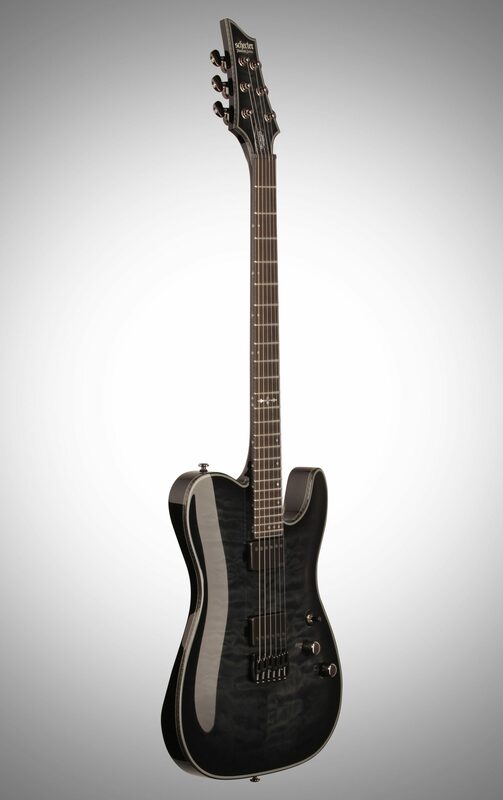 The Wow Factor: This guitar just looks different than the norm and was a big selling point for me. 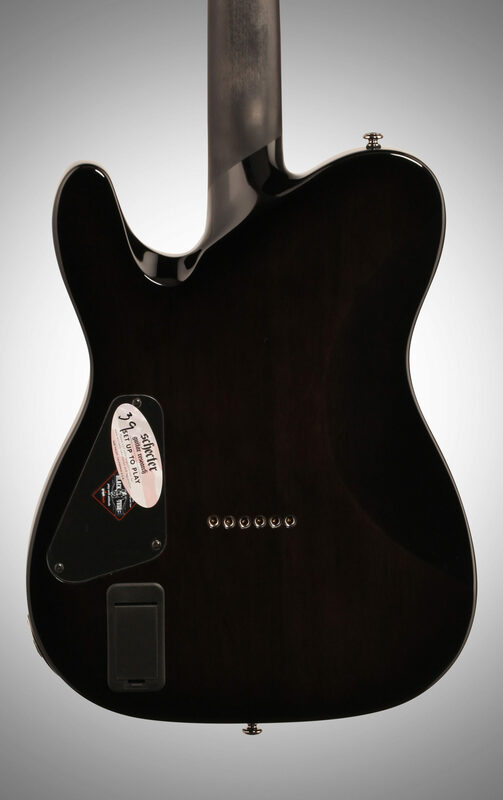 The finish is subtle and the Tele body with the modern appointments make it a strikingly different instrument. Overall: This is the 1st time I've bought non USA and online. This guitar is just great. I have been playing the better of 30+ years and I own MANY guitars, from Fender, Gibson and PRS. I'm playing through a Carvin V3. This is my 1st Schecter guitar and I must say except for some small things that are more about personal style than flaws, I'm very impressed. I've had it for 3 days now as I write this review and I've played it about 6 hours with the existing strings and set up, tuned down 1/2 step. Overall: Having played and owned Gibson, one could say I was a snob in that I would only own Gibsons. 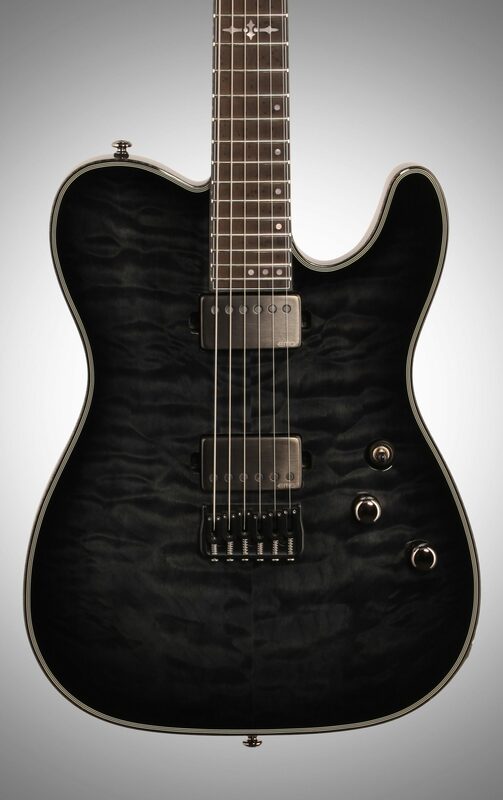 However, given that my brand has more than out priced this poor musician, and not really liking the Fender Tele neck (though I think it's a great instrument) I decided to order my first ever on-line guitar... Was very nervous about buying a guitar that I have not ever tried out first. I can say that I am more than impressed. Impressed with zZounds customer service, impressed with that with a few minor tweaks of the truss rod and saddle, I was playing first gig within 24 hours of receiving this fine instrument. I would like to have seen this with push/pull pots, or maybe the sustainac, but it is of solid construction as nothing was loose, finish was absolutely stunning and the tone was righteous!